Best Buy sees an especially needy — and lucrative — market for its Geek Squad tech services in the aging baby boom generation. But the retailer, which is seeing competitors eat into its consumer electronics sales, also faces increasing competition from rivals offering tech help. When she's having technology trouble, Suzanne Johnson turns to the Geek Squad at the Eden Prairie Best Buy store. She's been having a lot of problems with her laptop. "My son's cockatoo pulled about 20 keys off it," she told Geek Squad Agent Joey Diaz. "I thought it was goner then. But you took care of it. Right now, it's hung up on logging off and it's been acting up. So, I don't know if there's any hope for it." Geek Squad Agent Joey Diaz promptly detects rogue software. Johnson watches in amused wonder as the inspection continues. "This is fun watching you do that," she said. "I have no idea what you're doing." Johnson, of Eden Prairie, is 65 and belongs to AARP. She's very interested in the discount tech support program Best Buy is offering to AARP members. "I do not know much about anything except where the on button is," she said. Best Buy is partnering with AARP to offer the group's 37 million members reduced rates on annual tech help plans. 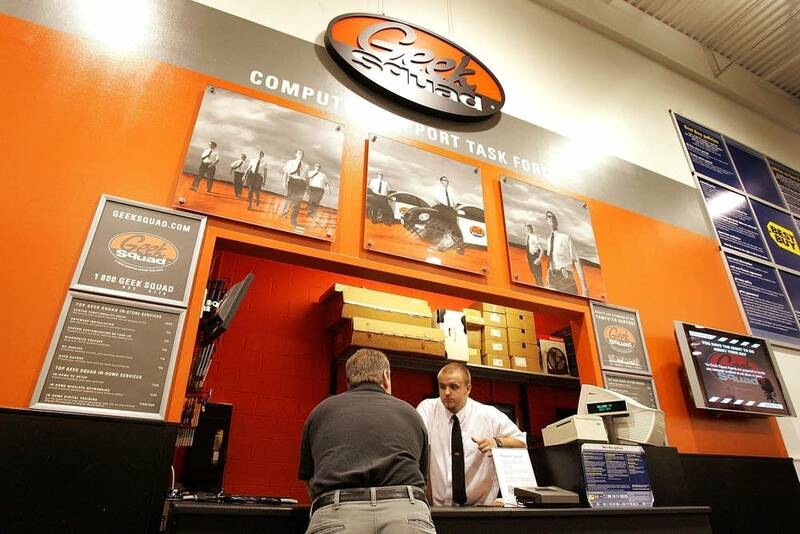 They provide unlimited consultations with Geek Squad Agents and other benefits, including free labor on any computer bought from Best Buy. Plans start at $170 for one year. The normal price is $200. Only about 12 percent of Americans are between the ages of 55 and 64. But more than one-third of the current subscribers to the Geek Squad's tech support service for computers and tablets are in that age group. AARP surveys indicate most members lack the knowledge or time to deal with things like setting up TVs, computers and home networks, never mind fixing them. "Obviously, the over-50 age group that AARP represents is thr group that's using a lot of technology these days, and they're trying to use it to improve their lives," said Brian Hutto, the Best Buy executive who oversees Geek Squad's partnerships with other organizations. "What our tech support does for them and the reason we partnered is that it helps them learn how to unlock the technology," he said. Wedbush Securities analyst Michael Pachter believes there's a strong correlation between age and the need for tech help. He said the AARP-Geek Squad partnership is "a match made in heaven." "Everybody over 50 is a better target audience for Best Buy's service," Pachter said. "They are less tech savvy on balance. And they have more money." Best Buy gets about $3 billion a year in revenue from the Geek Squad and other services it sells. The company doesn't specify how much revenue it gets just from Geek Squad services, though. Analysts say tech services are very profitable for Best Buy. 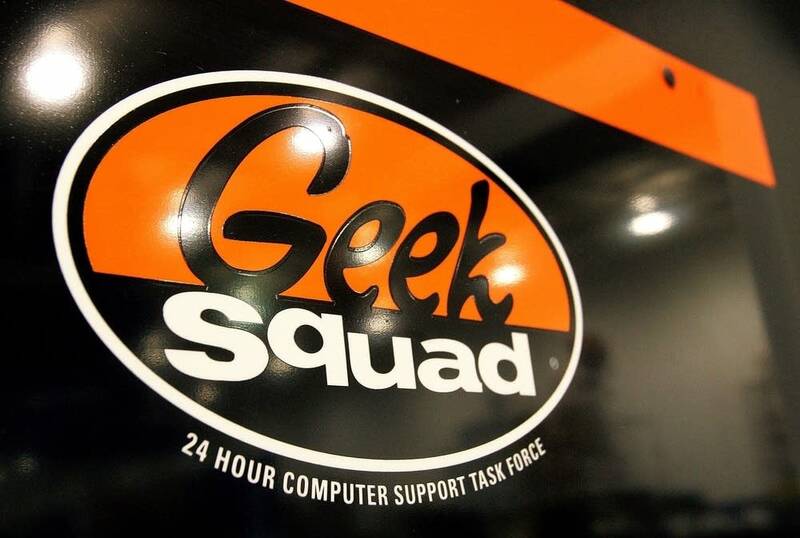 Customers pay $60 an hour for Geek Squad labor. And in California, for example, where wages tend to be well above average, Geek Squad agents are paid about a third of that, according to court filings. But Pachter says younger people are much more comfortable with technology and as they age, they won't need tech services as much as their elders do now. "The problem is old people are not going to be replaced by another generation of old people who are not tech savvy," he said. Morningstar analyst R.J. Hottovy notes many devices are becoming much more user-friendly. And there's more competition in the business. Target, for instance, offers set-up services for TVs and other devices and free telephone tech support. Costco, Walmart and Sears also offer installation and tech services. And Hottovy notes Apple has its in-store "Genius Bars," where employees provide free tech advice. "It's a business you have to have," he said. "But by having other competitors that do offer similar services, it does take its toll on what is really a high-margin business and may weigh on Best Buy's profitability." That wouldn't be good for Best Buy, which has a host of other problems to deal with — from declining sales and rivals undercutting its prices to stores that are too big.